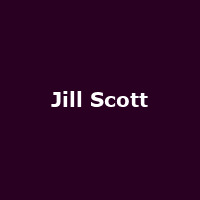 Jill Scott may have been a bit of a late starter when it came to the world of show-business but she's more than made up for it. Prior to turning her attention to a full time career in the arts, Scott trained as a teacher (almost, she dropped out), worked in construction, in an ice cream parlour and a whole range of jobs. Her time as a muggle appears to have served Jill Scott well as her career as a poet, musician and actor has benefitted from a patience and dedication she perhaps could not have shown as a younger woman. In the end she found her road and it was paved with gold. She has since one three Grammy awards, including Best Urban/Alternative R&B Performance for 'Cross My Mind' in 2005, and has starred in a handful of big screen productions. Her face will be familiar to fans of the hit BBC drama 'The No. 1 Ladies' Detective Agency', in which she took the lead role of Precious Ramotswe. Continuing to mix the worlds of acting, poetry and R&B/neo soul, Jill Scott has, a little more than a decade into her career and still only 39 years old, achieved more than many will ever do. Her brand of neo soul, blending jazz and African influences, has delivered a clutch of successful albums including this summer's release, 'The Light of the Sun' her fourth studio LP. The record was her first in four years and went straight to the top of the US Billboard 200 chart, selling 135,000 copies in its first week. Some performers are so precociously multi-talented that it dogs them continuously, labelled 'too clever by half' and all-too-readily overlooked. By contrast, Jill Scott has excelled on a number of fronts, having paid her dues and learned life's lessons, and found a welcoming world, warm to her myriad talents. She is very welcome to the rewards. Jill Scott's (very) short UK tour dates begin at the Brixton Academy on Wednesday 30th November 2011, followed by a show at the Manchester Apollo on Friday 2nd December. Only two venues on a whirlwind visit, but two of the very best. We will have tickets for both gigs when they go on sale at 9AM on Wednesday 19th October 2011, costing £32.50 for Manchester, £35 for London.